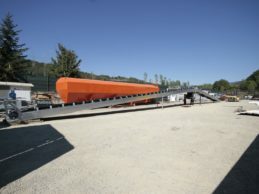 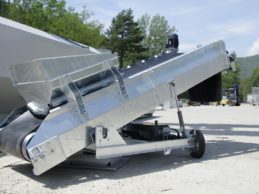 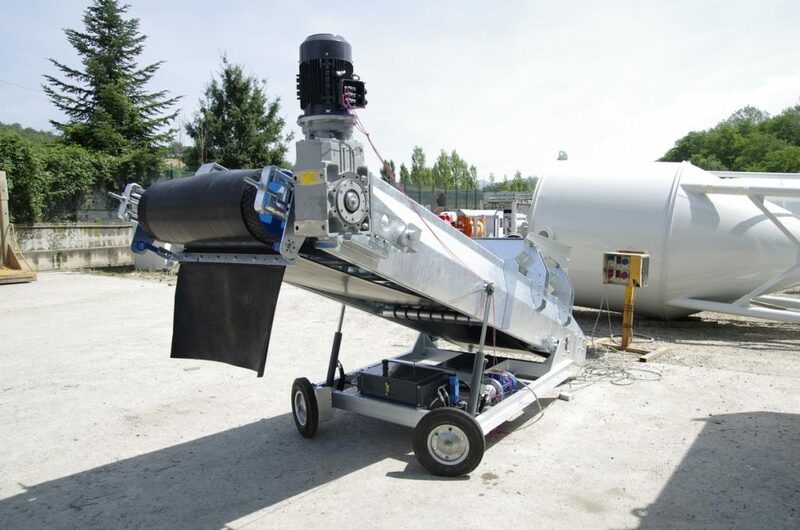 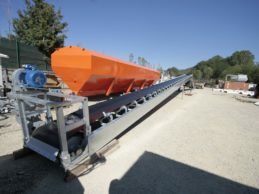 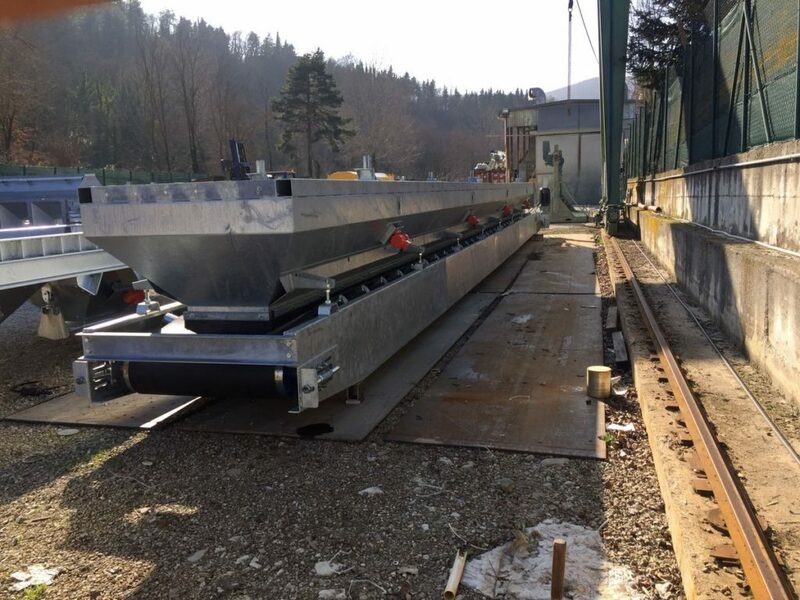 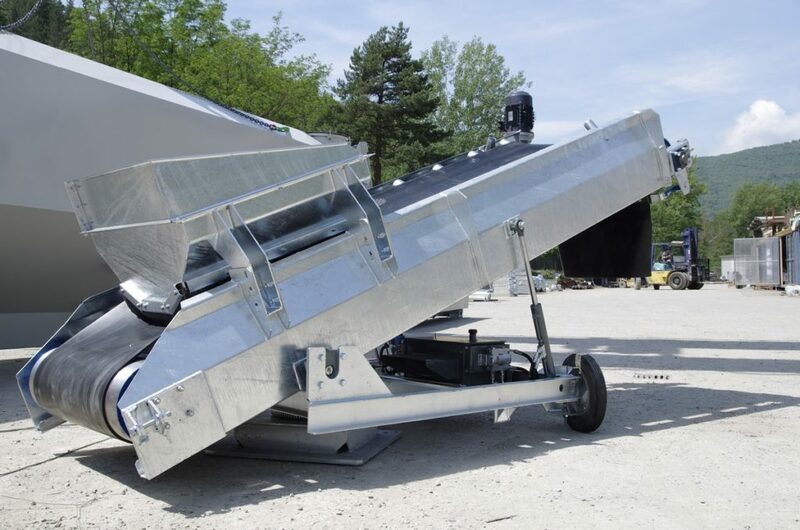 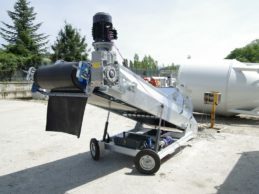 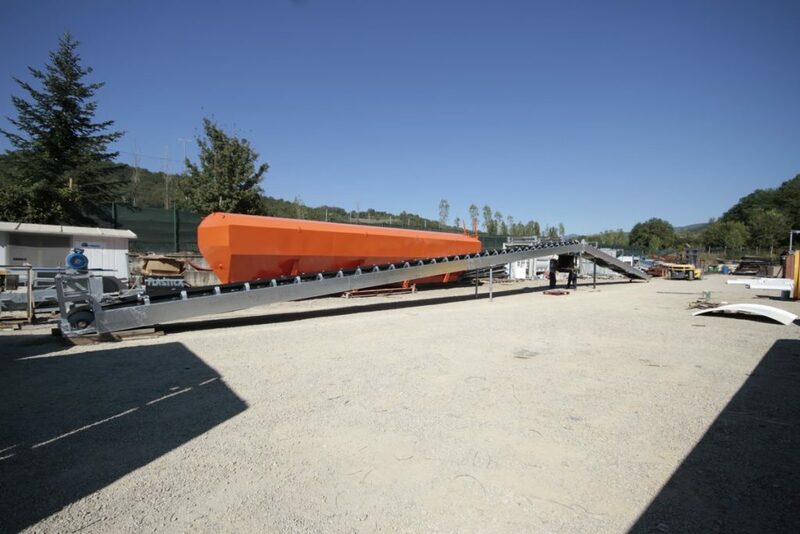 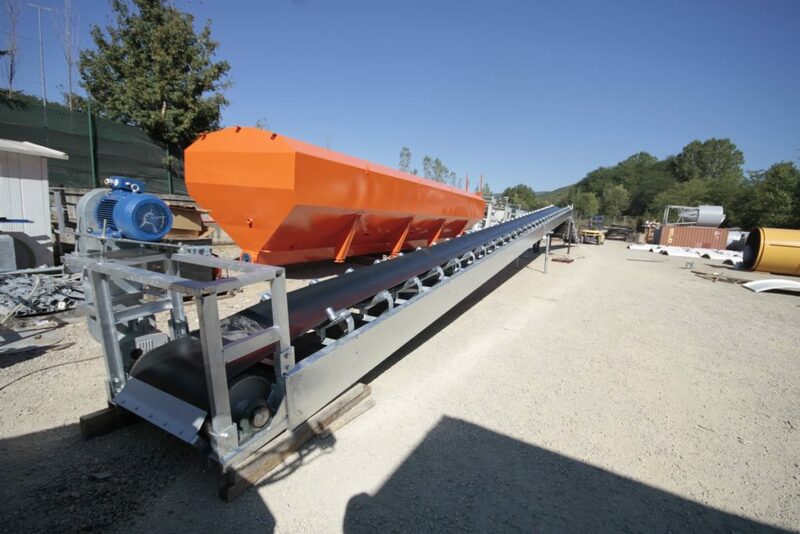 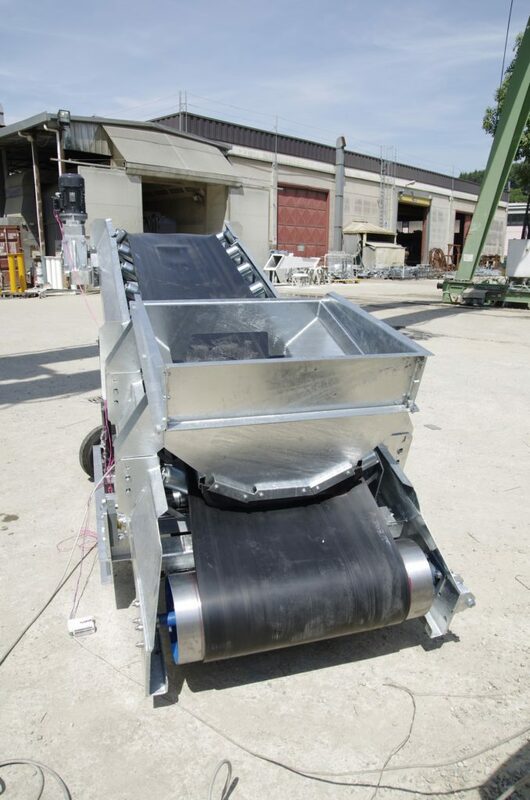 Belt Conveyors – Poggi S.p.a.
Belt conveyors for transportation of aggregates or granuls/pellets, can be realized in various widths and lengths, with output capacity from 80-100 m³/h up to 1000 m³/h. 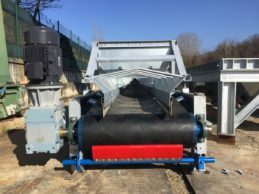 Belt conveyors, where required, are supplied together with support structure, protection mesh and other devices to guarantee the maximum safety for the operator. 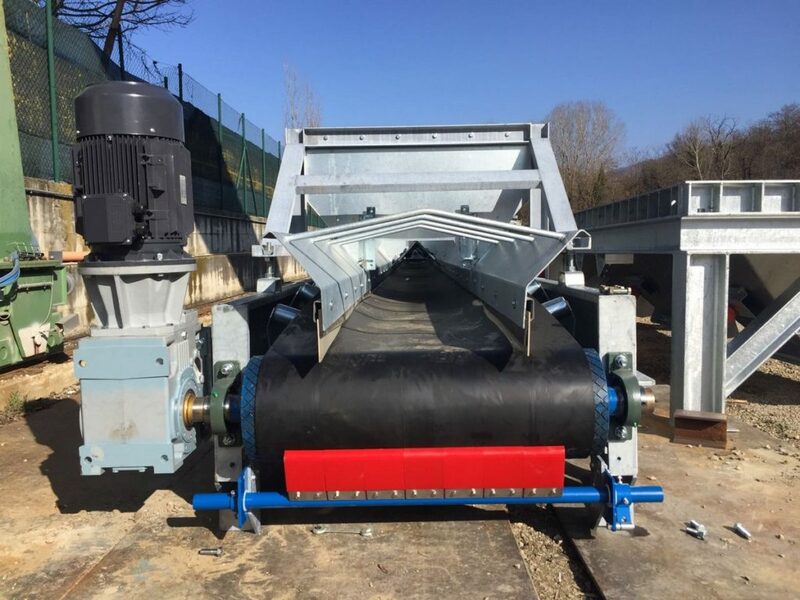 Are available together with the belt conveyors, many accessories of highest quality and international availability, such as sensors, control systems and others accessories necessary for our customer’s satisfaction. 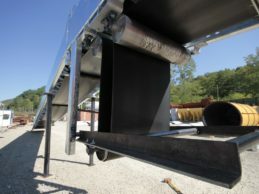 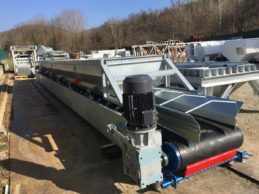 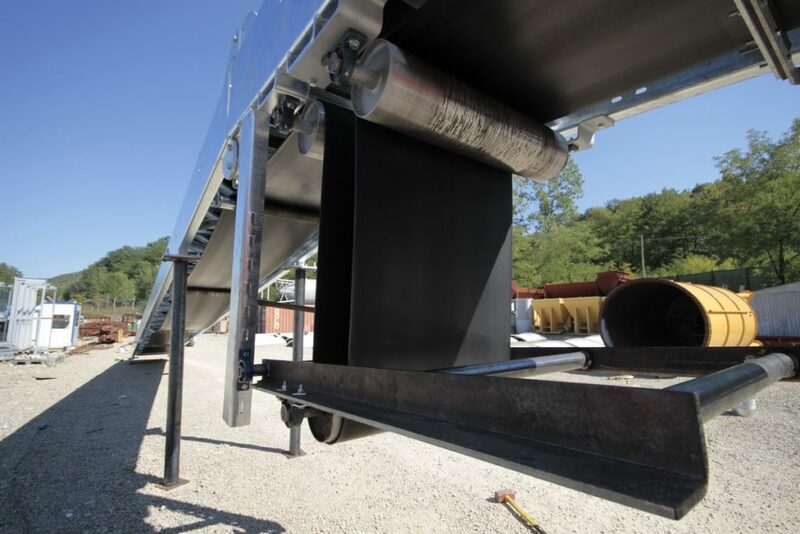 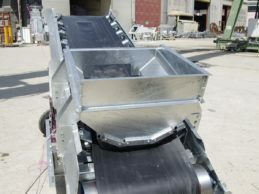 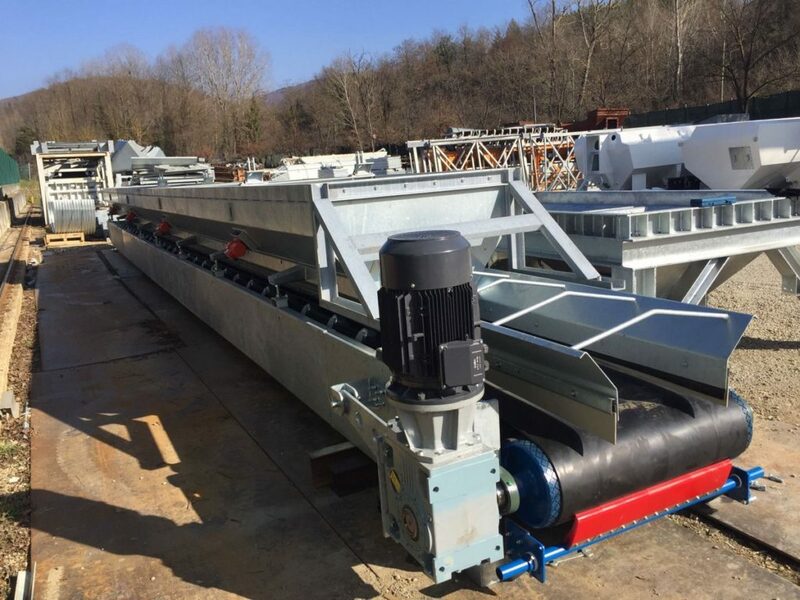 Belt conveyors are normally hot-dip galvanized, in order to protect the machine from typical damages from site operations, but are also available painted upon request; they can also be customized in the application of our customer logo and any further personalization.